Laurence A. Borden: Frank, welcome to Dagogo. Please begin by telling us about your background in electronics, and how you first became interested in audio. Fran Van Alstine: I first became interested in high quality audio in 7th grade. Our English teacher brought in his own component audio system (turntable, little vacuum tube power amp, little bookshelf speaker) for our classical music introduction classes. It was so very much better than anything I had ever previously experienced I became instantly hooked. I had a Wards Silvertone all in one small suitcase-sized box system at that time. The teacher told me of an electronics shop in Rochester, MN, about 40 miles from us in Winona, MN where he bought the equipment from. I talked my father into taking me there and I was amazed with the variety of raw speakers, electronic parts, and other jewels the shop had. I tried to convince my father to let me put together a component system for our home. Nothing came of this. But, that Christmas, my parents said they had a great surprise for me. And there, in the living room was their new pride and joy, a big ugly brown box, a new Magnavox all in one audio system, complete with a ceramic cartridge that tracked at about two pounds, and big paper cone speakers with magnets of about two ounces, all packed into the huge open backed cabinet. It sounded awful. I gritted my teeth, saved my paper route money, and went back to the shop in Rochester. The kindly old owner helped me choose an 8″ Electrovoice dual cone speaker and provided me the plans for a small folder horn cabinet. I also got a Garrard Model T turntable but with an expensive ($40, 1952) Grado phono cartridge. I ordered a Heathkit 7-watt vacuum tube power amp kit that included a line and phono section. I built the cabinet and the amplifier and both worked perfectly the first time. The total cost for the system was about $150. I took it out to the living room and set it beside the Magnavox, played a record on that and then blew away their $600 pile of s— with my system. I took my system back to my bedroom and felt pretty happy. These were all back in the “mono days” of course. My parents never “got it.” That spring, when Dad was planning a college faculty party at our home, he asked me if he could borrow some of my records for the occasion. He said that my records sounded so much better than his did. I had to refuse, as the Magnavox made records a use-once-and-discard operation. They never figured out it was my system, not the records themselves. Oh well. My friends heard my system and tried their luck at building their own amplifier kits, almost always unsuccessfully. That is how I learned to diagnose and fix assembly mistakes and the collateral damage. LB: When did you first begin designing audio gear? Was it while employed at a company, or as a DIY/hobbyist? FVA: I really did not start out designing my own circuits, I am not the EE of the bunch, but I have been blessed with great EE talent to help me distill ideas into products. My first company was called Jensen’s Stereo Shop. It was a partnership formed with Paul Jensen, another audiophile I had met after starting my first real job as a technician at the Minn Highway Dept. We pooled our resources, all of $600 together, and got Dyna, Dual, and KLH franchises. Our specialty was offering custom wired Dynakits for the retail price of the unassembled kits. We wired and sold hundreds of them, many to Twin Cities college students. We started building our own speakers, the Sonic Eight. Paul turned them out of 3′ 4″ unfinished plywood with an 8” woofer and small cone tweeter and a single capacitor crossover. We sold them unfinished for $55 a pair and they were a lot better than what the big stores’ house brand speakers of the time, back in the day of Audio King, Hi Fi Sound, Schaak Electronics, and Kencraft. Very sadly, Paul died far too young from advanced rheumatoid arthritis and I bought out his share of our assets and continued on my own. It was a part time business, my full time job was as a Project Engineer with the Highway Department, in the Utilities Division. I helped small rural electric and rural telephone companies redesign their lines to provide clearance for new highway construction. I was working with electronic design, but at the far end of the scale of audio electronics. By then I had noticed that not all was what it seemed to be with the Dynakits I was building, one after another. There were many parts changes from kit to kit of the same product, and sometimes value changes too. Some seemed to work better than others. I decided to try and isolate the differences, and started ordering parts on my own that seemed to provide the best performance of the Dyna units I did, substituting them for the originals and thus commanding a bit more money for my upgraded units. For example, I had noticed the Dyna used polarized electrolytic capacitors in the signal path in applications where there was no bias voltage on them. We substituted non-polar capacitors in these applications with excellent musical improvements. This was not because one type of capacitor “sounded better.” It was because the wrong kind of capacitor was being used. Polarized capacitors break down and become very non-linear when they see reverse voltage. Probably the most important thing I did in those days was to take a double output circuit that Wade Burns, Dyna’s chief engineer provided me, and execute it into actual hardware in the Dyna 400 box. I also added a huge external power supply bank and a switch to bypass the pretty ugly whole redundant front end and Dynaguard circuits. We called it the Double 400 and sold tons of them. Harry Pearson gave it a wonderful review in TAS and my business took off. Then a young genius electrical engineering and advanced math college student came out to listen, and he was unimpressed with my reasons for why my Dynakits were better. But rather than just blowing me off, he brought out his scope and signal generator and showed me how to make real measurements that had meaning musically. For example, he showed me that the very last part in a Dyna Pat-5 preamp, a 470pF cap wired from the output to ground, was simply a “mask.” It covered up the fact that the whole circuit oscillated in its absence! He patiently helped me find the source of the oscillations, the unity gain buffer circuit, which was there to help the puny phono circuit actually drive a load. He fixed the oscillations, and now the Pat-5 sounded way, way better than before. He worked for me for several years, developing complete brand new circuits for the Pat-5, the Dyna FM-5, and the St-150 and St-400 power amplifiers. We ended up with two different patents in those days, both for improved forward transimpedance amplifiers. I did make one big business related mistake back then. 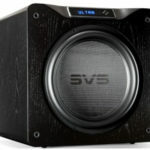 I helped form a company called Van Alstine Audio System, and we started making our own chassis and products from scratch. Unfortunately, my partners “thought bigger” than our resources allowed and I bailed out, selling back my stock to them. They had wanted me more for the marketing value of my name than for my conservative suggestions. The company failed shortly thereafter. LB: When did you first decide to commercialize your products, and form AVA? FVA: After that broke up in the mid 1980s, I stared Audio by Van Alstine from scratch all over again, never really trying to make the business huge, as I really have always done it for the love of being able to create high value audio electronics rather than making big bucks. LB: Tell us a bit more about the company. Is everything manufactured in Minnesota? Do you build all the gear yourself, or doyou have assistance? Have you ever considered outsourcing some of the assembly to Asia? FVA: Yes, everything is manufactured here in Minnesota. I have several associates working for me. Most are part time, custom building finished units to order as they are received. I still occasionally build complete new units myself, but most of my time is taken up in the design process, along with all that paperwork that never quits. Outsourcing? Not really applicable to our operation where everything is custom built to order. LB: Let’s turn to your product line. Since the 1980s, you have offered upgrades to the now legendary Dynaco ST-70 amp. Tell us about the upgrades; have they evolved over the years? FVA: We started out building new original AVA circuits in Dynaco and Hafler chassis. When those sources dried up we tooled our own chassis. To be cost effective, we make all of our chassis multi-purpose. With different faceplates and back panels we can use the basic metal for several different products, keeping our prices as low as possible. All of our designs have evolved over the years. Preamps from simple but effective IC designs to our newest, much more complex hybrid tube units. Power amps from rugged and stable solid state designs have evolved, too. 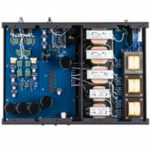 New AVA amplifiers nowadays have outstanding dynamics and transparency. We never are satisfied and are always asking ourselves, “What is the remaining weak link,” and try and resolve it. Often the results are spectacular, as with our new Fet Valve hybrid amplifiers. LB: How does an upgraded Dynaco ST-70 compare to a fully-modern AVA amplifier? FVA: Our Ultimate 70, with a complete new mother board of our own design, including four regulated power supplies, for the original Dyna ST-70 vacuum tube amplifier, within its 35W/Ch power limits, compares very well to the very best amplifiers out there of any design. It may not be the living end in utter transparency, but it’s listenability and ability to draw one into the emotion of the music are as good as it gets. LB: You design and manufacture both tube and solid state amps. Are they intended for different types of speakers, different types of listeners, or both? 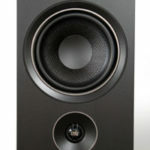 FVA: I would suggest that our different technologies are more for different listeners than different speaker designs. We design our amplifiers to drive any kind of speaker load well, limited only by the power available. I never suggest prospective owners to acquire much more power than they really need, nor stress their budget. LB: In the tube designs, do you start with a particular tube, and design a circuit around it? What prompts the choice of the tube? FVA: We start tube design by exploring and executing advanced circuits, and then select the best tube types we can find, within rational cost and availability considerations, for those designs. Although “tube rolling” is possible with our tube and hybrid products, the results are not as extreme as with many designs as we use the tubes well within their ratings, with regulated heater and multiple regulated B+ supplies. Our tubes never have to drive loads that stress them, and are run well within their ratings. Our circuit environments are nice to the tubes, so they are never pushed hard. Much of the results of tube rolling are because various tube brands and types behave much differently at the limits of their design envelopes. With our circuits, these limits are not closely approached. Thus, advantages of premium grade or expensive old new stock tubes is minimized. LB: What forms the basis for your circuits in your solid state amps? FVA: The basis is the knowledge that the circuit must always be run within its linear limits. The limits could be considered as a nested set of three circles. The largest circle must be the linear power bandwidth of the power supply, inside that is the linear power bandwidth of the audio circuit. The smallest circle is the bandwidth of the actual audio signal you allow the circuit to see. By obeying these rules, the audio circuits can never see a signal they cannot handle linearly, and the power supply is never asked for demands it cannot provide. A good example of abusing this rule is a DC-coupled input unit. At some frequency, both high and low, this will drive the audio signal into overload. Also, since the power supply is not linear at DC, at some low frequency you run out of power supply. This does not provide “great bass” because your amp is DC-coupled, it only insures horribly distorted bass as the signal approaches DC. LB: Many believe that all else being equal, lower-powered amps sound better than higher-powered models. In your Insight amp line, you offer 125, 130 and 220 W models plus “high current” versions of the 130 and 220 W models. How do these differ, both in terms of design and sonically? FVA: There is no good engineering reason for a low powered amplifier to sound better than a high powered one if both are designed very well. Actually, the reverse is true more often as the low powered amp is driven into clipping, or one finds it cannot be used with the speaker you really like. Our Insight+ amplifiers all use the identical circuit designs, differing only in the power supply rail voltage, and the need for higher powered models to have up-rated voltage and current ratings and often more output devices in parallel to handle the increased power. The amps all sound identical within their power ratings. Our Insight+ power amps are actually up and running linearly at less than 10 percent of line voltage. They are lower power then of course, but the concept of “power brown out” simply does not apply to them. If you have low line voltage, it is no problem at all with an AVA amplifier. LB: What are your thoughts on feedback, and how do you implement it? FVA: We use global feedback in some of our designs, but not in all. Feedback, properly used, is not a sonic issue. Unfortunately, it is often not properly used in other companies’ designs. The trick is to never let the feedback loop overload or approach going positive. LB: Are there any design parameters common to all AVA products – what might be thought of as the AVA signature? FVA: The design parameters common to all AVA products is to allow them to gracefully interface with a wide variety of other devices the best as possible. We provide pure resistive input impedances to make our equipment easy to drive. Our output stages in DACs, preamps, and power amps, are designed to have low output impedance and very high drive current to drive any rational load very well indeed. They are, first of all, designed to work well in the real world. LB: You currently have four preamps in your line-up. As with your amplifiers, you offer tube models Transcendence Eight+ Vacuum Tube, a solid state model Insight+ solid state, and hybrids AvaStar Hybrid and Fet Valve Hybrid. Please tell us the design goals of each. Insight+ solid state preamplifiers: To provide as clean and musical a preamplifier as possible at the lowest possible cost to provide a satisfying musical experience for as many users as possible, without stressing their finances. Transcendence 8+ vacuum tube preamplifier: To provide the best, pure vacuum tube preamplifier we know how to build, and incorporating as many of the design enhancements of our more expensive units as possible while still keeping the price affordable. We have been able to incorporate our multi-stage regulated power supply technology into this unit to great effect. AvaStar Hybrid preamplifier: Using the best of our own design circuit ideas to provide an economical and true-to-life musical listening experience at a rational price. Fet Valve preamplifier: Our first “super premium” design with all-new thinking from cosmetic design to circuit technology. It combines the great Aikido vacuum tube circuits by John Broskie (used with his permission of course) with our own mos-fet follower and multi-stage regulated power supply technology. It also includes an all new silver, three-dimensional faceplate with matching silver knobs, buttons, and a pretty little blue LED. This provides the most musically involving preamp design we have ever done. It is a little more expensive, but we are sure the purists who can afford it will love it. LB: In designing your products, how much emphasis do you place on measurements, and how much on listening? Do you ever encounter significant discrepancies between the two? If so, how do you resolve this for the final design? FVA: There are two kinds of measurements, the static ones providing numbers for distortion, bandwidth, noise, etc. These are not very useful in predicting whether or not the circuit will have any obvious musical advantages or not. Dynamic evaluations are more useful to us. We want to make sure the equipment is absolutely stable over a wide range far beyond normal 20 to 20K Hz static audio measurements. If we see a small, underdamped resonance even at 1 megahertz, for example, we will work to eliminate that as we have learned that any resonances at any frequency cause ripples in the pond and detract from musicality. We want perfect exponential square wave response and perfect 6 dB per octave attenuation of the audio signal as the circuit reaches its bandwidth limits. No ripples, ringing, or glitches are allowed at any frequency. In general, if it measures bad, it is bad, even if it sounds pretty good. If it measures good but sounds bad, then it is still bad, it’s just that we have not found why the measurements have not been adequate so far. Our final products must both measure and sound right. LB: What are the considerations for discontinuing a product, and for introducing a new product? FVA: Products are discontinued when we have a much improved version ready to ship. This does not happen very often, but we are never completely satisfied with anything and are always striving for meaningful improvements. Often we are able to make improved or new circuit designs backwards compatible with our previous designs. This allows us to offer reasonably low priced upgrades to our older products when possible. For example, we can offer the very significant Fet Valve 400R and 600R designs as upgrades to any of our older hybrid power amps built in our own chassis for about half the price of a new unit. Sometimes we continue the production of a model, such as the Avastar hybrid preamp, because it remains excellent value and provides outstanding musicality without getting into the $2,500-and-up class. LB: You have a number of DACs in your product line. Please tell us a bit about them. FVA: All our DACs use the same Wolfson 8742 digital circuits, the best we found to date. All are good for up to 192/24 high resolution playback. The Vision and Vision EC are all solid state, using super low distortion current amplifiers in the analog filter and audio output sections. The standard Vision has a single coax digital input, the Vision EC has four switched digital inputs, two coax and two optical. The Vision Hybrid DAC features an all tube/hybrid analog filter and audio output section. It too has four digital inputs. This is a much more expensive technology to execute, but well worthwhile for those who can afford it. The new Fet Valve DAC has a variation of the same Aikido and mos-fet follower circuits as the Fet Valve preamp for its analog filter and audio output design. Both the Vision Hybrid and the Fet Valve DACs include our multi-stage regulated power supply designs. As good as the Vision Hybrid DAC is, the Fet Valve DAC surpasses it in natural musicality and involvement. Since it does not cost us much to continue the Vision Hybrid in production and because it offers great performance at a lower price, there is no good reason to drop it from our product line. LB: AVA products are well known for providing excellent performance/price ratio. How do you keep costs down? Of course, direct-sales is a factor. Do you eschew “exotic” parts? FVA: We keep our prices reasonable by, first of all, custom building the equipment to order. This way, we do not have to pay for and finance the cost of unsold inventory. Second, we keep our tooling and finished chassis metal overheads as low as possible by sharing basic chassis designs as much as possible. A DAC and a preamp, for example can be built from the same basic inner chassis, only faceplates, back panels, and control and jack combinations are different. Also, we do not change chassis metal designs on a whim. The basic designs of our preamp/DAC and big power amp chassis are extremely well done and durable and efficient and we don’t change them just as styling exercises. Finally, I pay my people well enough for them to really care about what they are building and do it right the first time. This means hardly any overheads for internal troubleshooting of finished new products. We build our equipment to last for years and years and be fault-tolerant so our field failure rate and warranty costs are exceptionally low. Finally we sell factory-direct to the end user. This eliminates the normal 40 to 60 percent retail markup on the prices. Regarding “exotic” parts, we consider them to be pretty much high-priced snake oil. Our equipment is all built with one percent tolerance metal film resistors and high quality OEM capacitors, the best semi-conductors we can find, and tubes selected for durability and performance. We do this to assure circuits that match and are long-term durable. However, these parts are not expensive. Precision resistors cost about five cents each in production quantities. If the circuit used one hundred resistors, that would only be five dollars! Most of the claims for exotic or ultra high priced parts is just to inflate the perceived value of the unit to the end user who has no insider knowledge, we suspect. Consider that the radio in an army Jeep is built with “all military grade parts.” Why does it still sound so lousy? LB: High-end audio is obviously in a period of transition, due in large part, though certainly not exclusively, to the dismal economy. Yet, the industry is inundated with cost-no-object products, despite the fact Brick and Mortar stores are closing at an alarming rate, and manufacturers — both large and small – are experiencing dramatic decreases in sales. You have been in this industry longer than most. What do you see for the future of high-end audio, in both the near- and short-term? Do you think direct sales will become the norm? 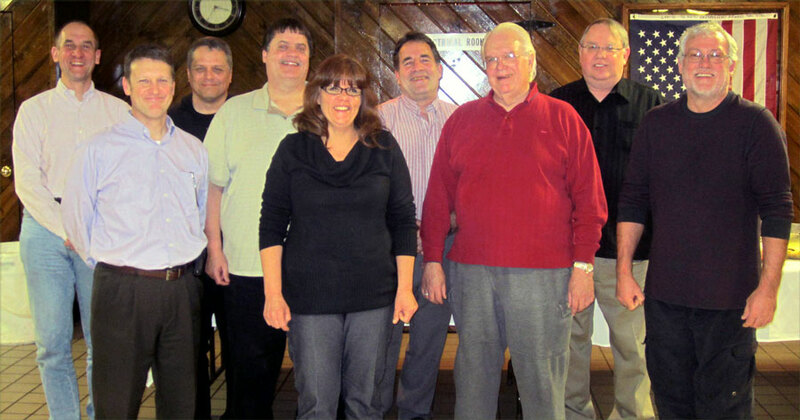 FVA: Where is high end audio going? Part of the answer is another question: “Where is the economy going?” Another part of the answer is that the end user must be reached more effectively and honestly. Ultra expensive stuff presented in really fancy wrappers may attract the “cost is no object” very wealthy for a while, but that leaves behind everyone who is getting tired of their nasty-sounding seven-channel surround sound system and does not have the information available to seek out better that is also cost effective. I do expect that direct sales will continue to do well as long as we have the ability to reach the prospective user honestly. I would really like to find out about the operations and business model of those brick and mortar stores that are still doing well. I would also like to know the best way to reach the guy who has never heard good audio playback at all. In the old days, we could ride on the coattails of the Sony’s and Kenwood’s national advertising that audio was good for you. We just had to say that yes it is, and we can do it a lot better than they can. That free ride is over now. I consider preying on the consumer with grossly overpriced cables, power cords, and do-dads to simply be picking on the carcass of a dying breed unless education can take precedence over just wanting to make a quick buck. FVA: I know that my career-long fight against audio mumbo-jumbo is much like tilting at windmills and has alienated me from some of the all-subjective- based audiophile community. However, good engineering still trumps good purple prose. At least I still hope so. I will still offer science- and good engineering-based audio products for as long as I am able and for as long as Audio by Van Alstine products still offer fair value and great musicality. Thanks much for the opportunity for me to express my views herein. LB: Frank, on behalf of Dagogo and our loyal readers, I’d like to thank you for taking the time to speak with us. We wish you continued success, and hope to have the opportunity to review some of your fine products. Read Doug Schroeder’s November, 2008 Review of the AVA Ultra DAC. In defense of the cost no object mfg. They are obviously dedicated to doing something unique and a lot of them are making the product not only sound good, but to make them reliable and also have aesthetics to go along with them. Since they do a fair amount of R&D, even use custom components like custom caps, resistors, transformers, etc., they are just doing what they feel they want to do to serve a portion of the industry. Obviously, they have to run a business and stay in business and small companies producing small quantities have higher costs to mfg and need a certain amount of revenue to keep the doors open since they have a very limited finite amount of income if they are only going to produce 50 units, or 100 units, etc. So what, if someone likes their product because they like the sound, build quality, a looks of product, far be it for me to tell them to buy essentially an older amp design that’s being compared to a kit amp for a couple of thousand. I don’t buy kit products or would want my products compared to them. I think they are great from a learning perspective and I think offering kits again would serve more as an educational tools for youngsters growing up. But that’s how I’d do it. I’ve got some experience in component buying and assembly of electronic equipment out of high school back over 35 years ago. I’ve bought various levels of components ranging from off the shelf to Mil Spec. I’ve seen the inconsistencies in components and have seen what other companies have to do to make a high end product (audio related or not) as they have to go through a hand selection process and end up sending 30% of the product back since it doesn’t fit within a high tolerance for what is being mfg. What turns me off is someone that obviously is going after the budget minded person trying to act like everyone else is overcharging. Sorry, that makes me think that someone can’t produce something high quality enough to be able to stay in business with an expensive product line. If I was an amp designer making a high quality product, the last thing I want my products compared against is a kit amp from the 60’s or 70’s. Those are great for nostalgia purposes, but things have progressed FAR ahead since then. People are doing more research finding more things about aspects of a system whether it’s analog or digital related. Even some of the old school recording engineers like Bob Ludwig are changing their minds over things like Speaker cable going from standard cable to high end cable. Paying for it and actually noticing a BIG difference, when before they would cast it off as BS. I can respect Frank for being in business, but he and others need to tone it down regarding the expensive amp people. They do what they do to stay in business and OBVIOUSLY for many of them, there’s enough people that don’t mind spending the money. 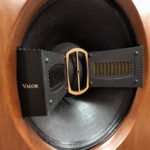 Some don’t have a problem shelling out $100K or more for a pair of speakers and they are more likely not even going to consider driving them with a power amp costing $3K or less. I’m not suggesting that those amps are the only ones to consider, but I certainly wouldn’t talk down about something that’s beyond my budget unless I qualified it first by saying I don’t have the money to afford them, so people at least know where I’m coming from. Good engineering? Being compared to Dynakits? Sorry, but that mentality doesn’t hold as much weight. Now if they are being compared against some Jadis tube amps, which are FAR better engineered, IMO, far better build quality and a price tag to go along with it, let’s see some comparison reviews in some blind fold tests, then maybe I’ll give Frank more respect. I run into a lot of old timers stuck in this basic electronics design that is fine up until a point, and then it starts to fade. I personally wouldn’t buy Tube amps just from the fact that tubes aren’t stable. They might test equally the same the day you assemble the product, but how about a year later? do they still match up the same? They certainly don’t go bad all on the same day, do they? And I don’t want to spend money on a tube tester and have to yank tubes on a routine basis to see if one is falling out of spec and then either having to match up a new one or having to replace all of them regardless of their condition. I had an older brother with a tube guitar amp and I used to tag along to the local Radio Shack testing tubes and get free batteries. Either way, I sense some bitterness in Frank’s interview against companies that make expensive products. He should at least have an appreciation for what others do, otherwise, he’ll lose THEIR respect. You gotta give it before you can earn it. My hats off to him for staying in business because I know it’s a tough market and I’m sure he has his following because theirs enough people that buy that stuff, even if it’s more for nostalgia, but I disagree with him staying away from dealers and only doing mail order. Is he afraid of having his equipment compared to someone else’s? To me, that indicates he might be covering something up. I would suggest that he put these products out on the market as kits, drop the price and let kids have the experience many of us had back in the days of Dynakits and Heathkits. It doesn’t look too difficult to throw one his amps together. he does have a pretty simple clean design unlike the old Dynacos and Heathkits. Bottom line, Frank good for you that you’ve been in business all of these years, enjoy your own levels of success but don’t cast off other people’s. Some are doing what they feel compelled to do which is design a high quality product and unfortunately they are in a small niche market that’s tough to stay in business for the long term, but some manage to do so, even if they only make a few hundred. Most of those companies aren’t driving around in expensive Ferraris from the profits they charge. And if they did, then that’s their business. Thank you, Frank, for the many years of affordable, real sound. I loved hearing your story and your industry and technology observations.